Schooling in the area actually began in 1863, in a log cabin on the John B. Wolff homestead. In 1869, Benjamin F. Wadsworth donated land for a frame schoolhouse, and in 1882 the wooden structure was replaced with a brick building. The school was located at 5650 Olde Wadsworth Boulevard between Grandview and 57th Avenue, teaching students through 1920. After 1920, it became a commercial building with a new façade. However, in 1999 during the Olde Town renaissance project, the schoolhouse was uncovered and the front restored to its original appearance. In 1900, a new school building was opened on Zephyr and Grandview. The Arvada School, as it came to be known, has been in continuous use since, surviving additions and remodeling. The building was renamed Lawrence Elementary School in 1955. In 1920, the first bricks were laid for the modern-day Arvada High School, still proudly standing on Wadsworth Boulevard. In 1922 Thomas D. Vanderhoof joined the teaching staff, teaching vocational agriculture and welding. He is remembered as a visionary and a mentor, and Arvada's first honored coach. Baseball, football, and basketball flourished under his leadership. On Monday, December 8, 1941, the day after Pearl Harbor was bombed by the Japanese and the United States entered World War II, Arvada High School Principal Ray S. Fitzmorris called a school assembly and said to the boys, "You seniors are going to start this war and you freshmen are going to finish it." In 1950, Jefferson County's 39 school districts, including Arvada's school district, consolidated into one large district and is today is the largest school district in the State of Colorado. Within the public school system Arvada has four high schools, five middle schools, 22 elementary schools, and two charter schools; in addition Arvada has five private and/or parochial schools. Allendale, 5900 Oak Street, built in 1963. Developer of the area named it for William M. Allen, a homesteader in this area. Campbell, 6500 Oak Street, built in 1963. Named for Bertha Campbell, a former teacher and principal. Fitzmorris, 6250 Independence Street, built in 1959. Ray Fitzmorris was a teacher and principal at Arvada High School, also an administrator in the Arvada District. After reorganization he was in charge of Pupil Personnel at R-1 Administrator Building until his retirement. Foster, 5300 Saulsbury Court, built in 1955. E.L. Foster, M.D. was a doctor in Arvada for many years. Fremont, 6420 Urban Street, built in 1974. Named for the wife of the explorer by that name. Hackberry Hill, 7300 W. 76th Avenue, built in 1966. Named for a hill by early residents because of finding a lone hackberry tree there. There are two Indian legends about this hill. Lawrence, 5611 Zephyr Street, built in 1900. Helen Lawrence, a teacher in early Arvada Schools, was employed in 1904. Because of overcrowded conditions, she taught her first year in a storeroom on Grandview Avenue. For 27 years she taught the younger children in Arvada schools. She retired in 1932. The Arvada school was renamed in her honor. She is highly respected in Arvada as hundreds of people remember her and speak highly of her as a first grade teacher. Little, 8448 Otis Drive, built in 1973. Dr. John Little was a superintendent in Arvada Schools before reorganization. He went on to the University of Colorado from which he later retired. Parr, 5800 W. 84th Avenue, built in 1969. Mr. and Mrs. Esta D. Parr donated the land to the school district. Peck, 6495 Carr Street, built in 1966. Homer Peck was superintendent of Arvada from 1930 to 1941. Russell, 5150 Allison Street, built in 1955. Dr. Richard Russell was a doctor in Arvada and its first mayor (1904-1923). Secrest, 6875 West. 64th Avenue, built in 1955. T. Ellsworth Secrest's children sold land to the district at greatly reduced cost. Thompson C. Secrest came to Colorado in 1882. Later he bought 3 miles northeast of Arvada. He taught school for two years in Ohio before coming here. He was very interested in education and insisted that all children go to college. In 1920 the East Arvada Junior High School was built on Luther Secrest's property. Charles Secrest, who was a principal of an Arvada school in 1897, was a member of this family. Sierra, 7751 Oak Street, built in 1971. Areas named because of the view of the mountains. Stott, 6600 Yank Way, built in 1972. David Stott was an early farmer and pioneer. The family sold the land to the district. Swanson, 6055 W. 68th Avenue built in 1964. Mrs. Olive Swanson taught math at Arvada Junior High School. Before coming to Jefferson County she was principal of Canon City High School. Vanderhoof, 5875 Routt Court, built in 1969. Thomas Vanderhoof was a teacher of agriculture and a football coach in Arvada for many years. He was also a member of the first Jefferson County School Board after reorganization. Warder, 7840 Carr Drive, built in 1973. Zina Warder taught at Lawrence, held other positions in education and retired from Fitzmorris as principal. Weber, 8725 W. 81st Place, built in 1972. Joe Weber taught Driver™s Education and coached at Arvada High School for 30 years. West Woods, 16650 W. 72nd Avenue, built in 1996. Named after the surrounding area. Arvada, 5751 Balsam Street, built in 1953. 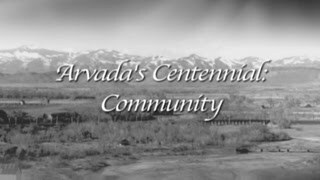 Arvada was named, according to one source, by Mrs. Benjamin Wadsworth for a brother in law, Hiram Arvada Haskins. Another source says that he was the brother in law of B.F. Wadsworth. A third source says that it was named for the daughter of B.F. Wadsworth who had been named for an uncle. The first name of the area was Ralston Creek. Drake, 12250 W. 52nd Avenue, built in 1959. O.B. Drake was Arvada Superintendent of Schools from 1902 to 1919. Moore, 8455 W. 88th Avenue, built in 1980. Mr. Charles Moore served on the Board of Education at various times since 1955 when he was first elected. He resigned in 1958 when he moved to Ohio and, upon returning to Jefferson County, was named to replace Tom Eych when he resigned in 1963. Subsequently he was reelected to the Board in 1967 and served until his retirement in February 1969. North Arvada, 7285 Pierce Street. Named after the area. Oberon, 7300 Quail Street, built in 1964. Oberon was a pioneer family. The Moffat Railroad had a stop here named Oberon Junction. Arvada, 7951 W. 65th Avenue, built in 1972. Named after the area. Pomona, 8101 Pomona Drive, built in 1973. Named after the area. Ralston Valley, 13355 W. Avenue, built in 2000. Named for Ralston Creek which runs through the valley. Arvada West, 11325 Allendale Drive, built in 1963. Named after the area. Standley Lake, 9300 W. 104th Avenue, built in 1986. Named for Standley Lake.